What an absolutely incredible month. 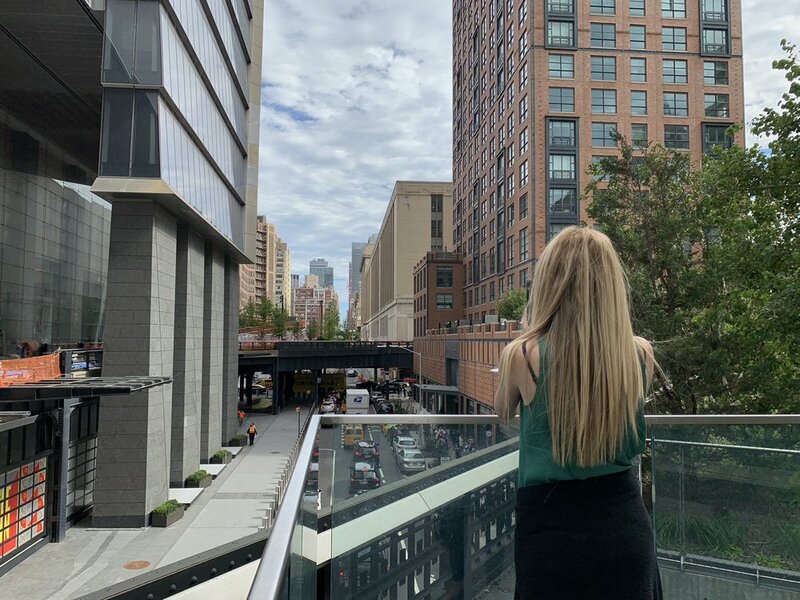 Between an amazing trip to Europe, a beautiful time in New York, and a stunning bridal shower at the Mission Inn, it was quite the month indeed. What an incredible month it's been. The first fifteen or so days of the month have been captured with daily recaps of our incredible trip through Europe and Africa on our Extraordinary Adventure. When we arrived back from Europe it was Sunday night late and we ordered a pizza, grabbed a few hours of sleep and were back at work the next morning. When we arrived back from Europe we had our annual Emmy party (a day late due to the 9PM east coast start time) and enjoyed what was a rather subdued show. A few days later was our nine year anniversary. We met for lunch and then we back out to dinner at Kashkaval Garden where we had our favorite cheese fondue. i could eat that every day. The next week or so was spent with us recovering from the big trip, getting back in the swing of work and enjoying the start of fall. I did get the new iPhone Max Plus and the Series 4 Apple Watch which are both incredible. 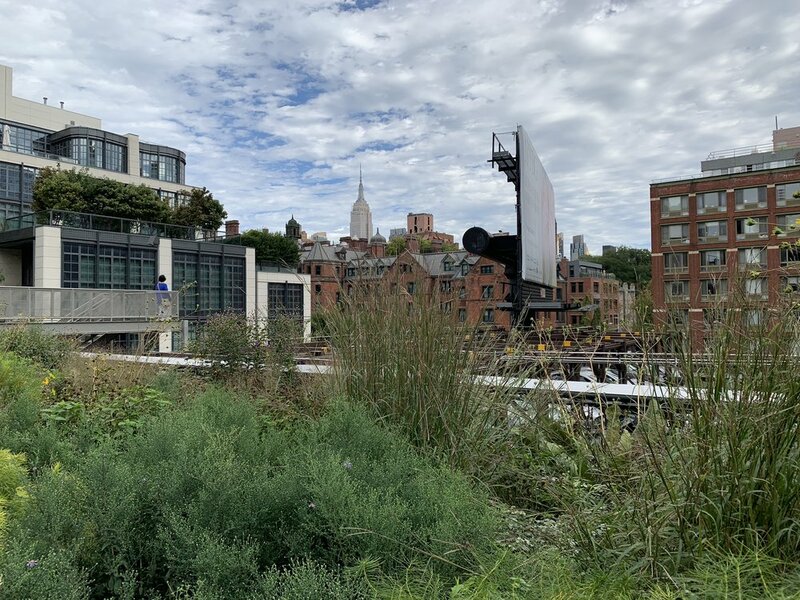 We also walked the entire High Line park and through the Chelsea Market. On Thursday the 28th we flew from JFK to Ontario, California to fly back for Amy’s bridal shower. Jenn promised to host the event when they got engaged and when we moved to New York we moved the event from Newport Beach to the Mission Inn in Riverside. After flying in we picked up our rental car and drove to my parents house. The next day Jenn went down to Orange County to see her Dad and I had lunch with Jake at Ookas. We even went as a family back to Anchos for the first time in a long time. The next day was the big event and from all accounts it went without a hitch. Jenn spent so much time in the last six months planning every last second of the event. From the flowers, to the balloons, to all of the amazing signs/print outs, the entire courtyard at the Mission Inn was decked out for the big occasion. When Ryan, Jake and I arrived at 2 PM the event was at its mid point and so I went around taking as many pictures as I could. We left the Mission Inn exhausted and spent the rest of the evening resting before flying back home out of Long Beach the next morning. Our flight home was uneventful and we were back at work the next day to finish up the month. Today is Sunday, September 16th and Jenn and I have just arrived at the Lisbon airport where we’re awaiting our flight to London and then back to New York. Ironically I wrote Los Angeles first and then deleted and put in New York; still getting used to that. After eighteen days, four countries, and over a dozen tours we’re putting a bow on this extraordinary adventure. Before we do I wanted to do a quick recap of some of my favorite things from each of the stops of the trip, things that I either didn’t cover in the daily recaps or want to elaborate on. Let’s start at the beginning. One of my favorite memories of all-time was in 2016 when Jenn and i upgraded our plane tickets from Los Angeles to Amsterdam to Business Class. Since then we’ve always said we were going to do it again and I’m so happy we were able to on this trip. Once we were boarded on our flight to Milan and we copied our neighbors on what proper business class protocol is, we sat back and truly enjoyed. My favorite memory though was when Jenn and I declined dinner and turned in to fall asleep. There’s two pictures of us both laying down ready to get some shut eye and the look of awe and excitement is something that I hope we never lose and never take for granted. Five years ago I never would have even dreamed of flying business class once, let alone twice, and I hope that child like awe that I still have when I go to Disneyland still holds true the next time (God wiling) we fly in business. I’m going to cheat and have two memories here that I want to recap quickly, one is for Milan and the other is for Venice. One of our favorite new things to do is try out Michelin star restaurants in cities. With only ten tables we some how managed to get a last minute reservation at Contraste and it was easily one of the best meals either of us has ever had. It was almost four hours, and one of my favorite things about these meals isn’t the food or drink but the way these meals focus you. Jenn and I seem to always have the best time just talking about anything and everything during these long meals. I’ll never forget talking about upcoming trip plans, her plans for Amy’s bridal shower, and how these trips ground us in a way a long weekend or a staycation never seems to. The other memory is our last-minute decision to go to Venice. We bought refundable tickets in case we were too tired or just decided against going altogether. We went and it was not only one of the best days of the trip but one of the best of my life. There’s something really spectacular about being in a place where we’ve been with both of our families and have lifelong memories in. We walked into a Catholic church that we went to with Jenn’s Mom and Dad and lit a candle for her mom in the same place we did in 2006. We walked the same square that we walked with my siblings when there was a foot of standing water in 2012. And the many memories Jenn and I have made and made again in that beautiful city today. From a pure selfish point of view my favorite memory was seeing Jenn back on a tennis court hitting on clay with me like she had never stopped playing. But my lasting memory of Marrakech outside of its beautiful buildings, amazing food, and fascinating history will be walking the markets with Jenn during the food tour. I’m not sure how to describe the juxtaposition of feeling both fortunate to be there but also helpless in the face of some desperate poverty. We got to eat such great food and meet some genuinely nice people both on the tour and at the different eateries. But there was no doubt at any point that most of the people we met live in some degree over poverty. Jenn and I do our best to keep our blinders off when we travel. We don’t just see the 5-star hotel and assume that’s how everyone in Marrakech is living. One of the big parts of traveling for us is learning and understanding. If we gain nothing else from travel the basic understanding that no matter race, religion, gender identification, sexual preference or the like, we are all just people trying to make it in the world. I’ll never forget watching Jenn give a family food and thinking my stomach is full but my heart breaks for these people and its something I haven’t been able to shake since we left. Far and away Madrid was the biggest surprise on the trip. I just didn’t expect it to be as beautiful and clean as it is. Even on our bike tour the guide was saying that just a couple of years ago the city was far dirtier and had a lot more crime. But we felt nothing but safe and walked more in Madrid then any other city on the trip. But my favorite memory in Madrid was our food tour in Madrid, specifically the last couple of stops as every eased into it. I’m not sure we’ve ever been a part of such an intellectually stimulating and enjoyable conversation about life, politics, and philosophy. Jenn and I talk about it all the time but to enjoy it with others who also enjoy to eat and drink with it made for quite the evening and one that when Jenn and I walked away from the group we felt quite fortunate we got to experience it with the group we did. We sort of owe Lisbon an apology. Between our recent move to New York, starting new jobs, and this being the last stop on the trip we just didn’t give the city the same level of energy that we did the first three. We were to put it mildly exhausted. To give some perspective we probably watched four hours of TV during the first three stops and by the time we left Lisbon this morning we had finished the entire second season of Ozark on Netflix. But if I was to give my favorite memory of Lisbon it would have been our last day in its entirety. Not only did we sleep in and watch a lot of TV. But we also did something we love to do at home and that’s just walk. We walked without a plan, without a destination, without trying to make it to a place by a certain time. And yet I’ll never forget talking about our future travels, our future plans, and what life may bring to us in the future. It’s the sort of conversations that you only seem to have on vacation and its that part of Lisbon I’ll never forget. More then anything I’ll never forget the love that Jenn and I got to share on this trip. We have great times at home, we make memories every day. But there’s something about trips and us that has us at our best. We can shut everything else off for a set amount of time and just focus on each other. And its how we were able to make lasting memories in each of these four destinations, and I hope that’s how it will continue for many more years to come in destinations around the world. With all of the traveling we did in September we didn’t watch a ton. We did finish the second season of Queer Eye and Ozark both of which were fantastic. It’s been a relatively quiet month on the book front. I read two longer books this month. The first was Never Let Me Go which was a fascinating albeit slow novel and then I got about half way through Pachinko by Min Jin Lee in September which I will talk more about next month. We didn’t watch any movies in September and too me that’s shocking. The gaming season is upon us. I’ve been playing a ton of games since coming back from Europe. 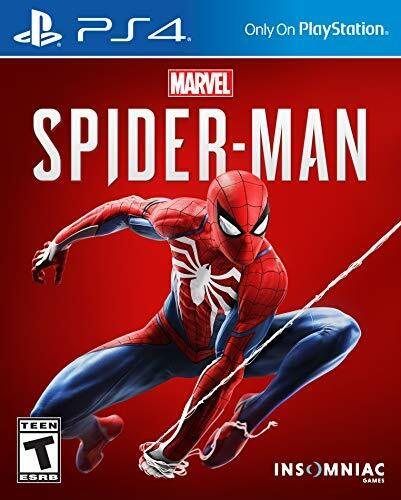 I’ve been addicted (more then I thought I would ) to Golf Club 2019 and Spider-Man for PS4. It’s been a fun time to play games, but October (with Assassin’s Creed Odyssey and Red Dead Redemption 2) will be even better. Goal #1: Read 32 Books: I've read 16 books and am currently on track to hit my goal. Sadly though without my daily 45-60 minute commute, I might struggle to hit my annual goal. Goal #2: 250 Days of Perfect Performance on Habitify: 131 days of perfect performance. Behind schedule due to an insanely busy year. Goal #3: Run 300 Times: I've run 148 days so far in 2018. At the halfway point of 2018, I'm slightly behind on this goal. Goal #5: Write 12 Chef Joel & Jenn: I've written 2 so far. Very off track and unlikely to catch up. Goal #6: Complete Travel Photo Books: I've completed one but have a lot more to do. The furthest behind on this one. One of the things that defined September for Jenn and I was the unfortunate confirmation of Brett Kavanaugh to the Supreme Court. Although that happened in October, the testimony happened in September and it was hard to watch. After the eloquent Dr Ford told her story, Kavanaugh was unhinged and it was one of the most embarrassing moments for this country that I can remember. Jenn and I believe Dr. Ford and stand with her.